Beate Medina was returning home from walking her dogs one evening in May 2004 when she saw two Army officers standing at her door. The sight did not immediately register. Uniformed officers are a common sight at Wheeler Army Airfield in Hawaii, where her husband’s division was based, and their street was being renumbered. She thought they had the wrong house. It was not the wrong house. Staff Sgt. Oscar Vargas-Medina, a 32-year-old construction equipment repairman with the 84th Engineer Battalion, had been killed along with another soldier when their convoy was attacked in Al Amarah, Iraq. In the days that followed, Medina could not sleep; time as a concept ceased to exist. “It was like I was in a fog,” she said. Born in Cali, Colombia, Vargas-Medina grew up in Chicago and attended Roberto Clemente Community Academy High School, where he was a member of the U.S. Army Junior Reserve Officers’ Training Corps program. When he went on to join the Army in 1992, Medina said he was likely thinking about how to provide for his first wife and their young son. Chicago Public Schools is home to the largest junior reserve program in the country, with more than 9,000 cadets enrolled in programs at 45 of the district’s 104 high schools. For these CPS cadets, the chances of joining the ranks of Vargas-Medina and becoming a war casualty are disproportionately high, The Chicago Reporter has found. That’s because the Army, the military branch with the highest number of casualties, runs 80 percent of junior reserve programs in Chicago, according to CPS figures. 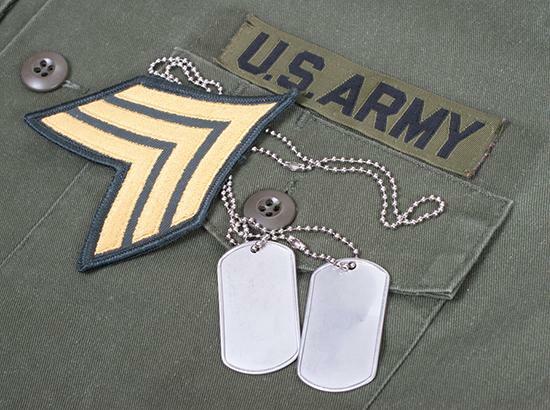 Overall, the Army operates about half of the U.S. Defense Department’s junior reserve programs. In the Afghanistan and Iraq wars, Army soldiers made up 70 percent of all U.S. military dead and wounded, according to the defense department. But they make up only about 40 percent of the department’s military personnel. Jesus Palafox, steering committee member for the Chicago-based National Network Opposing the Militarization of Youth, said he is troubled by CPS’ prominent involvement with the junior reserve program, especially given that it ends up exposing African-American and Latino students to the branch with the highest casualties. Ninety-three percent of Chicago junior reserve cadets are African American or Hispanic, according to March figures from the CPS’ Department of Junior Reserve Officers’ Training Corps. And more than 70 percent of junior reserve programs are offered in high schools located in majority-black or majority-Latino ZIP codes, a Reporter analysis of 2010 Census data shows. Palafox’s organization opposes war and school militarization generally, but he said that it is especially objectionable that the dangers of combat fall most heavily on those with the fewest opportunities. The junior reserve program was established in 1916 to prepare high school students for military service, but its stated mission gradually shifted to focus on leadership development, rather than military recruitment. During the ’90s, the program underwent a dramatic expansion, and it continued in Chicago, where officials announced plans for a new military-run middle school in October. A CPS spokesman said that the junior reserve program provides schools with needed resources. “The majority of our programs are Army, yes, and also located in low-income neighborhoods because that is where students need access to adult mentorship, leadership development, and academic curriculum,” the spokesman wrote in an e-mail. Green said the junior reserve program doesn’t recruit students, but the military offers incentives for cadets to sign up, like increased starting rank and pay for those who complete four years with the program. Green said his department does not keep tabs on how many cadets end up in the military. But the CPS spokesman wrote that, “Only 9.4 [percent] of our students go into the military,” and among cadets who enter the military, there is not a strong correlation between the branch of their junior reserve program and the branch they enter, the spokesman wrote. In February 2000, however, then-Army Chief of Staff Eric Shinseki–now Secretary of Veterans Affairs–testified at a House Armed Services Committee hearing that about 30 percent of Army junior reserve cadets go on to join the Army. Palafox said he doesn’t buy that the program isn’t a recruitment tool for the military. “If you look at their own data, [some] budgets for [junior reserves] programs comes out of the [defense department] recruitment budget,” he said. Financial benefits are not the junior reserve program’s only draw. It also allows working-class and minority youth an opportunity to dispel negative stereotypes and avoid profiling by associating themselves with one of the country’s most venerated institutions, said Gina Pérez, an associate professor of comparative American studies at Oberlin College. Far from being profiled, junior reserve cadets receive a positive response from the public, Pérez said. Some are even mistaken for military personnel and thanked for their service. For teens who are often viewed with suspicion and hostility, this ability to “command a certain amount of respect” acts as a powerful incentive to join the junior reserve program. “Contrary to what people might want to say about people being duped, or false consciousness, they are actually pretty savvy,” Pérez said, noting that cadets enjoy the extracurricular activities and travel opportunities that the program affords them. Palafox, for his part, contrasted the junior reserve program’s stated mission of teaching civics with the destruction wrought by the War on Terror, citing an estimate of more than 1 million civilian deaths. “People who hope to demilitarize schools should learn why [the program] has been working and why it’s so seductive,” she said, highlighting the program’s leadership opportunities and its emphasis on community service. Military programs should not be the only way to learn about civic engagement, she added. Nine years after her husband’s death, Medina is a licensed professional counselor, and family and marriage therapist at Fort Hood, Texas. Before she started talking to returning troops, she said, she felt like nobody could understand her pain. When it comes to the anniversary of Vargas-Medina’s death, some years are harder than others. “The first of May for me is always a date where I don’t know what’s going to happen,” she said. Otherwise, things have been getting better, Medina said. She sees a connection to Vargas-Medina in her work counseling troops and their families. “You want to keep his memory alive,” she said.